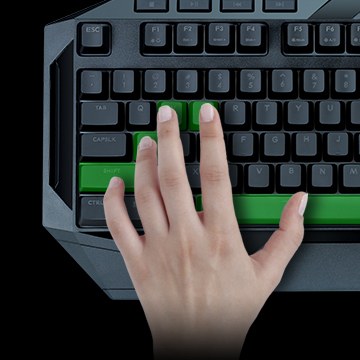 Feel the keystrokes with instant satisfying typing experience. The FUSION C40 keys are built to combine the advantages of both mechanical and membrane keyboards, giving you a comfy feel with more the responsive tactile feedback and less the clinking sound while registering each keypress accurately and durably. It is also Cherry MX keycap compatible, so feel free to switch, customize and style up. 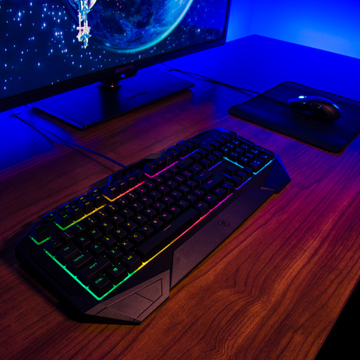 The FUSION C40 gaming keyboard features 7 LED backlighting effects in brilliant RGB colors. Strike fiercely, shines fearlessly. 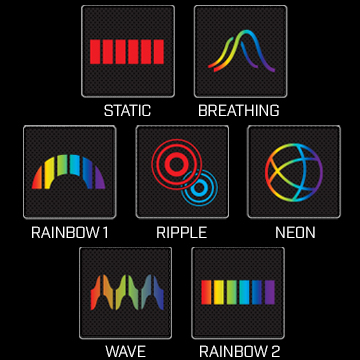 Upgraded from its predecessor, the FUSION C40 gaming keyboard enables you to select your favorite rainbow colors or RGB colors in 5 levels of shade with a 6-zone display. 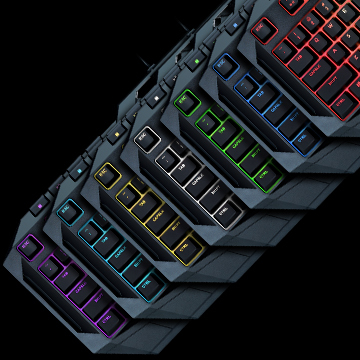 While you game to score and stand out from the pack, customize your gaming keyboard to show off those victorious wins. 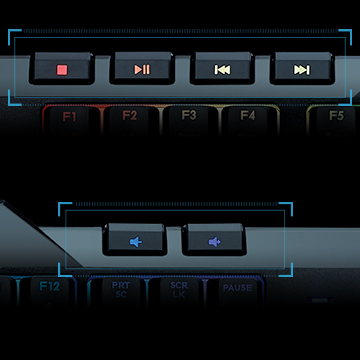 The FUSION C40 also features another upgrade: the 26-key anti-ghosting. 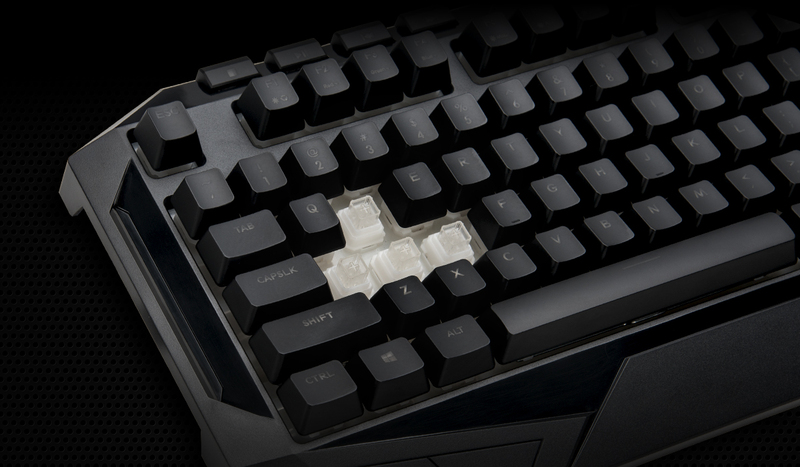 No worries about ever missing a keystroke during an intense match or game! Supports multi-keys work simultaneously. Each key is controlled separately to ensure that every key you press registers simultaneously and accurately in game. 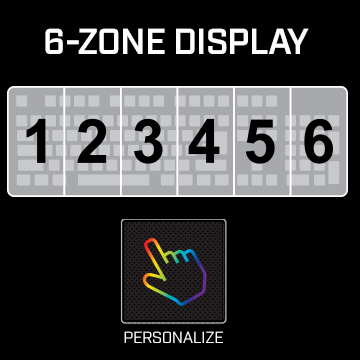 The gaming keyboard includes 6 dedicated multimedia keys which allow you to Play, Pause, Stop, or Skip through your favorite movies and music with ease. It also gives you easy access to either keep the volume low or rock out to your favorite tunes! 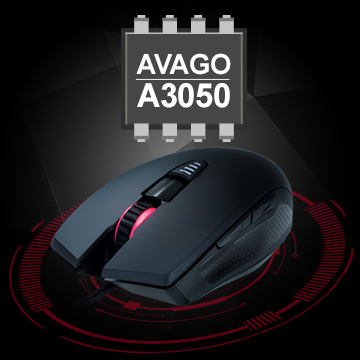 The FUSION C40 gaming combo includes a sleek gaming mouse that features an advanced AVAGO A3050 optical sensor to provide extraordinary precision in-game for executing every command with accuracy in the palm of your hand. The gaming mouse comes with convenient DPI button and speed indicator which allow you to change your DPI settings on the fly! 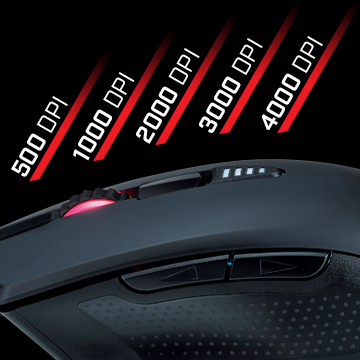 Quick switch for gamers to change between 500 / 1000 / 2000 / 3000 / 4000 DPI. Perfect for whenever you want to switch and level up your play style. Glow with RGB backlight, illuminate your gaming vibes with the FUSION C40 gaming mouse and keyboard combo and bring your game to the next level! 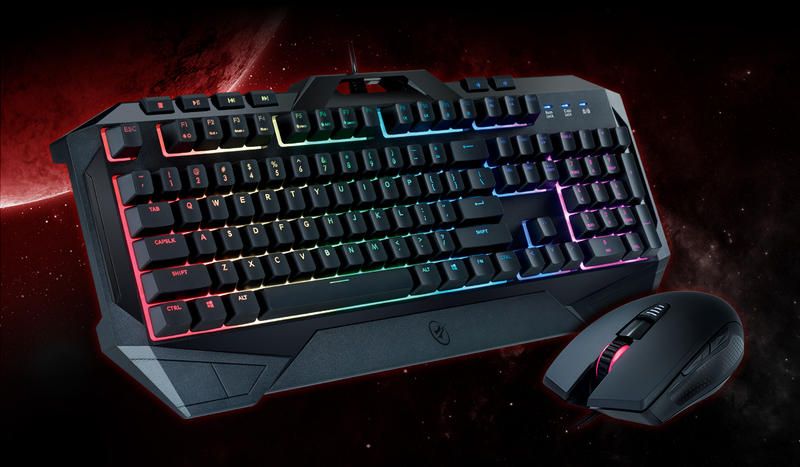 This Gaming Keyboard and Mouse Combo is the perfect arsenal to game, score and stand out from the pack.